Another $3 million out of the millions donated so far will be given to those affected by the mosque shootings by the end of the month. The news comes as a relief for Muslim leaders who say the initial payment of $1.7 million has already been spent, leaving some to go in to debt to pay everyday needs such as rent and groceries. The first tranche of funding saw $5000 given out for each injured person and $15,000 for each of the deceased’s families. More than four weeks on and the money had been spent, leading to questions over why more of the roughly $25 million raised so far could not be given to those most in need. The chairperson of the fundraising committee set up by the Muslim community in NZ, Ahmad Zainuldin, said together they had raised a staggering $6 million, mostly made up of thousands of small donations. It was more than he ever thought was possible. Ahmad Zainuldin, said a portion of the money they had raised would be added to some of the funds collected by Victim Support in order to get another $3 million to those with injured or deceased family members. Importantly the money would be handed over just before the month of Ramadan, which was traditionally a time of giving for Muslims, he said. Ramadan was also a time when families came together, which would make it a particularly tough time for those who had lost a loved one. “I don’t think we can imagine how the situation is for them you know. It’s such a horrifying thing to happen to anybody. 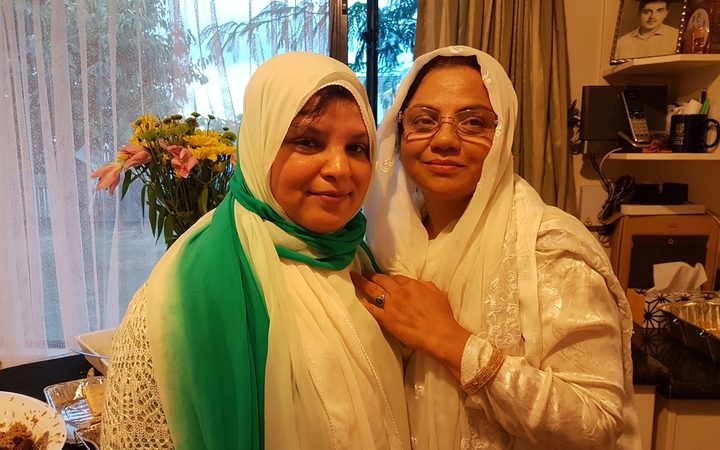 Vice-president of the Pakistan Association, Naema Khan, lost her brother-in-law and her nephew in the Al Noor Mosque attack. She said the extra $3 million to help meet families’ immediate needs was desperately needed. “It’s really good news for them,” she said. “They can probably provide a decent house to their children. Naema Khan, who had devoted herself to helping some of the widows left behind, said one thing the money would not help with was the mountains of paper work families needed to complete to access ACC or visas for visiting family members. At this stage due to privacy concerns, only Victim Support had access to the database of victims and their families. Ahmad Zainuldin said for now the Muslim community was happy to go through them in order to make sure the money got to where it was needed most. However, he hoped in the longer term they would be able to help the families directly.